Dr. Paul H Rigali grew up in Longmeadow, MA. He graduated from Kenyon College in Gambier, Ohio with Honors in Biology. Dr. Rigali received his dental degree in 1972 from Loyola University, College of Dental Surgery, and completed his orthodontic training at Tufts University in 1975. 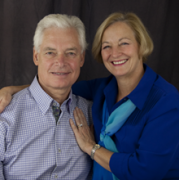 He began private practice in 1976. In 1985 Dr Rigali was awarded diplomat status of the American Board of Orthodontics and was recertified in 2003. Dr Rigali is an active member of many professional societies and believes in giving back to the orthodontic community. In education, He has been affiliated with many institutions including University of Connecticut, Quinnipiac University, Harvard University, Tufts University, and Boston University. Dr. Rigali is an active member of many professional societies. Some of his favorites are his Diplomat status of the American Board of Orthodontics, former council member of the American Academy of Orofacial Pain and Chairman of the Examining Committee of the Edward H. Angle Orthodontic Society. He is most proud to have served as president of the Roth/Williams International Society of Orthodontists which he feels is the most highly trained orthodontic group in the world. Dr Rigali is a frequent speaker at many orthodontic and dental groups on the subjects of comprehensive Orthodontic diagnosis and treatment planning. Outside of his professional career Dr. Rigali maintains an interest in many sporting activities such as bicycling, kayaking, weight training, skiing, and motorcycling. The highlight of his running career was the completion of the Newport, RI Marathon which he completed with many of his running friends. His most memorable bicycling tour to date has been an eight day tour through Tuscany during which he rode one of the mountain stages of the ”Italian Giro”. Dr. Rigali has maintained a residence in Vermont since 1997. He and his wife and children purchased a house in Barnard, VT in 2003 and have made a permeant transition to the Woodstock area. We provide orthodontic treatment for both children and adults. The American Association of Orthodontics recommends that children have their first orthodontic exam around the age of 7. Most patients do not require treatment at that age, but this observation period allows us to intervene when the timing is right and achieve the best result. We also specialize in managing complex adult orthodontic cases with periodontal/restorative problems, sleep apnea and disorders of the Temporomandibular joints. Our practice utilizes the latest technology to provide the best possible outcome for you, the patient. 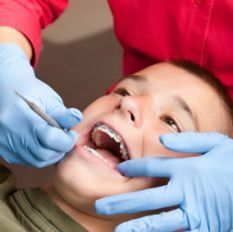 We take comprehensive records including digital photos, mounted models, and most importantly, the newest 3-D radiographic imaging technology of “Limited Cone Beam Computerized Tomography” (LCBCT) to more accurately diagnose many orthodontic, TMD and Implant problems. LCBCT is the most accurate and cost-effective 3D imaging technique available with the least amount of radiation to the patient. 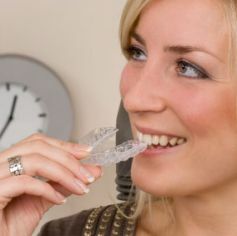 In treatment, we use the most efficient self-ligating metal and esthetic ceramic brackets, semi permanent retainers (or bonded splints) and invisible aligners may also be an option. Come in for complimentary consultation and see what works best for you. Call today (802) 432-1087 to make an appointment or fill out our contact form on the home page to request an appointment.